Thanks to The Lion’s Call, a lost chapter of Narnia cinematic history has come to light. 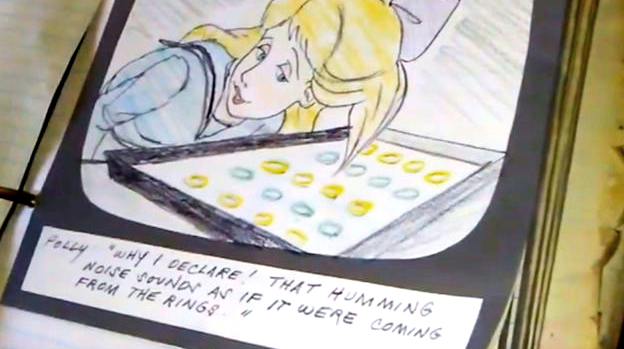 Watch their video of The Magician’s Nephew storyboards that recently resurfaced. Many Narnia enthusiasts are familiar with the 1979 animated adaptation of The Lion, the Witch and the Wardrobe, but did you know that an animated The Magician’s Nephew movie was once planned in the early 1980s? Until an unexpected eBay listing showed up in August of last year, this would-be prequel was almost entirely unknown to fans of the Chronicles. Aside from a 1982 article by The Episcopal News Service, there’s very little information online about this abandoned adaptation of Digory and Polly’s adventures, but we now know that the screenplay was written by Douglas Lloyd McIntosh and that part of the movie was storyboarded. Thanks to the owner of The Lion’s Call, curious fans can now take a look at this piece of Narnia film history and ponder what might have been. Do you wish this version of The Magician’s Nephew had been made? What about the possibility of animated Narnia movies on Netflix? Post your thoughts in the comments below. This is awesome! Keep that safe! I intend to. It was already falling to bits in my hands! Hey Cleander! How’ve you been? Does the ebay listing for this still exist? How much was it? It’s great that the storyboard still survives. Perhaps someday it would be useful in new film or television series. It’s always interesting to see the artwork that was made for the concept of a new project even though the filming of the movie wasn’t started. When I think of Live action Diggory and Polly, I mainly think of Richard Demsey and Sophie Cook, who played Peter and Susan in the BBC adaptations, I Picture Diggory with light brown hair and Polly with Long Blonde Hair. Congrats to these women for buying these storyboards! Personally, I have mixed feelings about the actual story designs. This seems like a faithful first draft. Not at all bad, but not emotionally involving enough to be the final draft. Like the first HP films, it has all the trademarks you would expect without much added that wasn’t expected: Polly is blond, Digory is brown, Andrew has spidery fingers. Thats fine, but I hope that this was a basis for a better storyboard which fleshes out the characters so that they are not cardboard cutouts from the book. Still very cool drawings though.